Choosing which baby car seat to buy can be one of the most daunting tasks, especially for newer parents. The ultimate goal is that the baby will be as safe as possible as well as comfortable for longer car rides. There are many different contributing factors which can make or break a car seat’s quality. Although some considerations come down to simply preference, others are very much brand dependent. 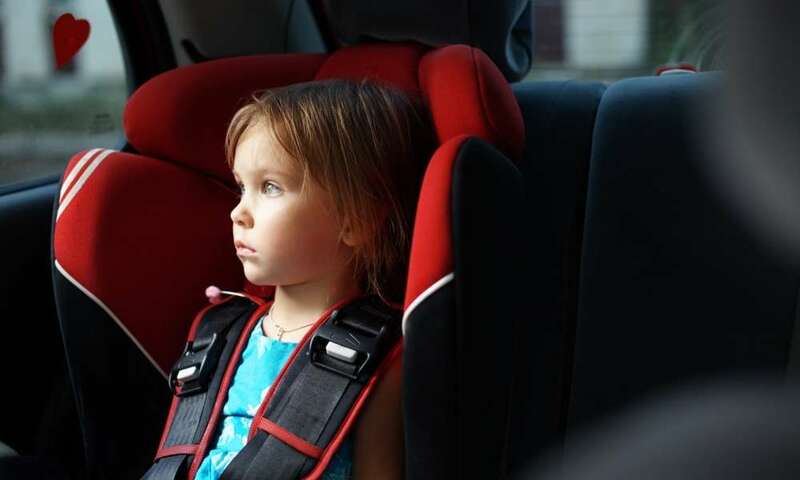 Some of the important things to consider when choosing which car seat to buy are weight and height restrictions, special features, affordability, and safety tests. When each of these specifications are met, you will end up with a great car seat for your child. One of the first considerations you will need to make when choosing which car seat to buy is the size of your baby. In addition to the baby’s height and weight, it is important to think about how long the baby will likely stay in that car seat before outgrowing it. For children two years old and under, the safest car seat option is a rear-facing one. The infant carriers tend to be weighted for babies from 4 to 40 pounds. If your baby is on the larger side or is growing quickly, convertible car seats often have weight rating for up to 50 pounds. Car seats also have specific height restrictions based on how the harness will fit and protect the child. Different brands have different ratings, but the average for an infant seat is around 30 inches. If you plan to keep your child in a rear-facing seat for longer, make sure to look for a car seat with higher weight and height restrictions. Often times the convertible seats are a bit higher than infant specific seats. For older children, most front-facing seats are rated all the way up to 80 pounds. After the child is two years old or older, most seats have similar weight and height restrictions. This makes it slightly easier to choose which seat to buy. The next thing to consider is what special features you may want for your car seat. Everything from cup holders to Disney character themes are available from a number of brands. When it comes to the special features, the main thing to ask is whether or not it is a deal breaker. Although things like safety and comfort are non-negotiable items, cup holders are probably less important. If it comes down to a choice between a boring yet extremely safe and comfy seat or a fun, feature-filled seat, the safer seat is always the better option. Some special features, however, really do make a car seat a better choice in the long run. For instance, adjustable headrests are not always standard fare for car seats. When included, however, they make the seat much more comfortable and versatile. Some special features, though, really do come down to personal preference. For instance, if your child really loves superheroes, a seat with a cape will be much more appealing. One important special feature to look for is the LATCH system for installation. Most higher end seats include the system and even some mid-range seats have begun to include it. It makes installation much simpler and more secure. Affordability is another big consideration to take when choosing which baby car seat to buy. If you are planning on starting with an infant only seat, moving to a front-facing seat, and eventually a booster seat, the costs can pile up. Although the top of the line seats are usually great, many mid-range seats are also beginning to include most of the important safety features. This makes affordability an easily attainable goal. Be aware, however, that some of the cheapest seats are often less padded and have less safety features. This makes them a poor choice, especially for infants who need lots of support. The other short fall to be aware of it the adjustability factor. If your baby grows out of their car seat before hitting the weight limit due to non-adjustable features, you will end up sinking more money into multiple car seats. Probably the best way to find a good, affordable car seat is to choose one from a top brand and read all the specifications prior to purchasing. Again, many mid-range seats have just as many safety features but simply lack some of the bells and whistles of expensive seats. Perhaps the most important factor when choosing a baby car seat is the safety tests and ratings. All car seats must pass a minimum impact test, but be on the lookout for companies that conduct additional tests. The side impact tests are especially important here. Many car seats on the less expensive end really only are rated for the bare minimum impact tests. If you move up to the most mid-range seats, these are most likely to have high safety ratings. An important factor in car seat safety is the ease of tightening the straps. If you never can get the straps totally tightened, the seat will not be safe and secure during an accident. The level of padding, especially for infant seats is also extremely important as infants cannot support their own heads and spines. With proper padding, a baby will have good posture and will not move around too much in the seat. Ultimately, the first thing you need to do when choosing a baby car seat is to assess your own needs and the needs of your child. Keep in mind, however, which items are deal breakers and which are not. The most important factors when choosing a baby car seat have to do with safety and individual needs. The bells and whistles of the most expensive options are lovely, but ultimately not the most important. At the end of the day, make sure the seat you choose will protect your child, keep them comfortable, and maybe delight you a little with its special features.